Aimée Wilder’s bright and playful designs can bring a smile to anyone’s face; however, her recent donation of 5 wallpaper rolls to the Children of Bellevue (CoB) easily garnered her biggest and brightest smiles yet. 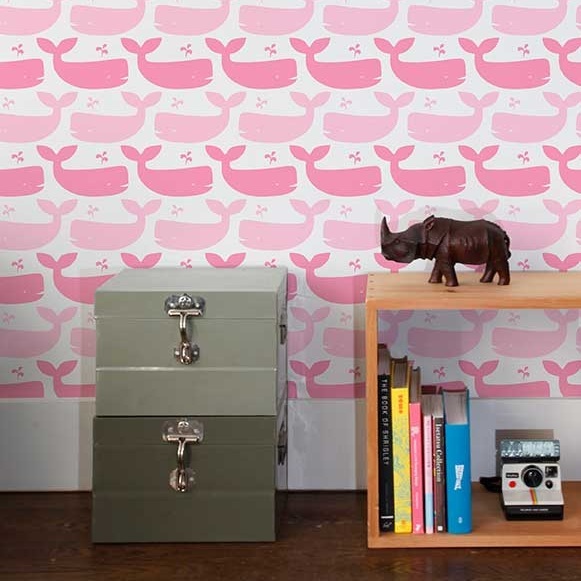 Her cute whale repeat, “Whale Candy”, will make for cheery interiors at the pediatric unit of Bellevue Hospital, supporting the charity’s mission to deliver companionship, support, and smiles. CoB initiates, funds, and implements special programs that improve the health, well-being, and development of more than 25,000 children and teens. An exploration of underwater life. Aimée Wilder brings the dream world to life in a melding of galactic visions, jungle adventures, and desert wanderings. From a bunny’s eye view on a fantasy adventure.